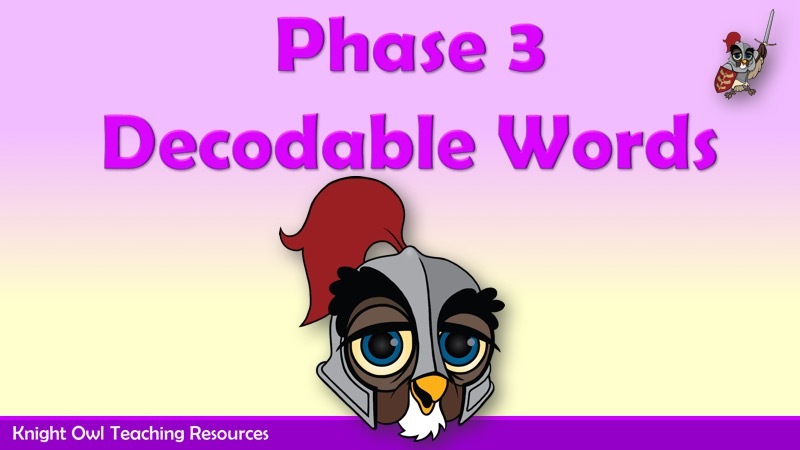 Practise reading the decodable and tricky word for Phase 3. 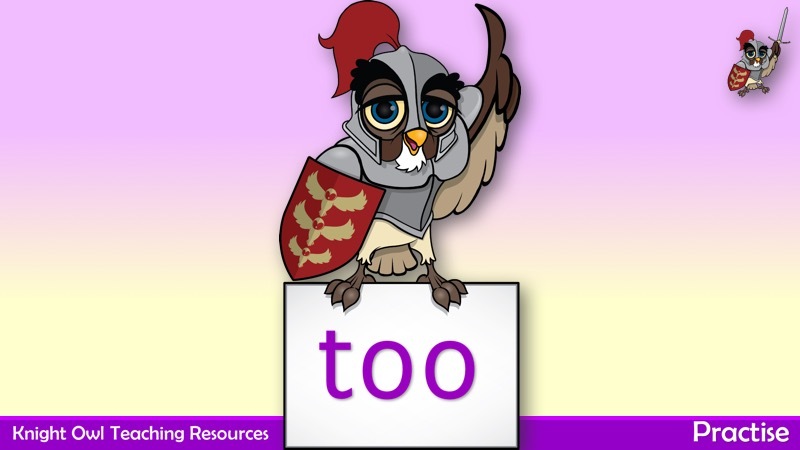 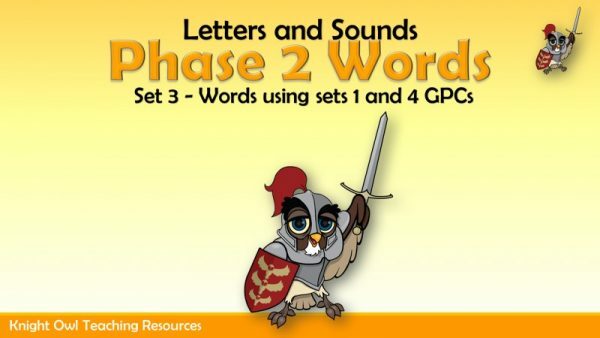 This powerpoint contains 12 Phase 3 decodable words plus the 12 Tricky Words for this phase. 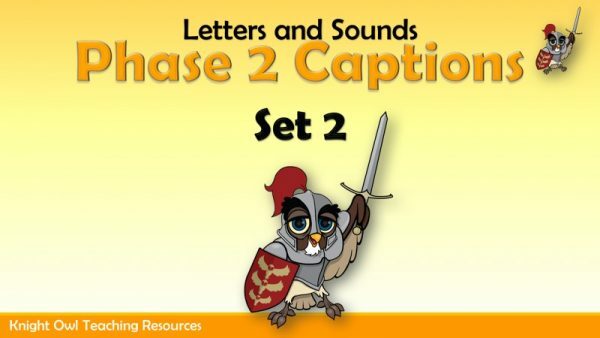 Various animals holding whiteboards with Phase 2 captions – Set 2. 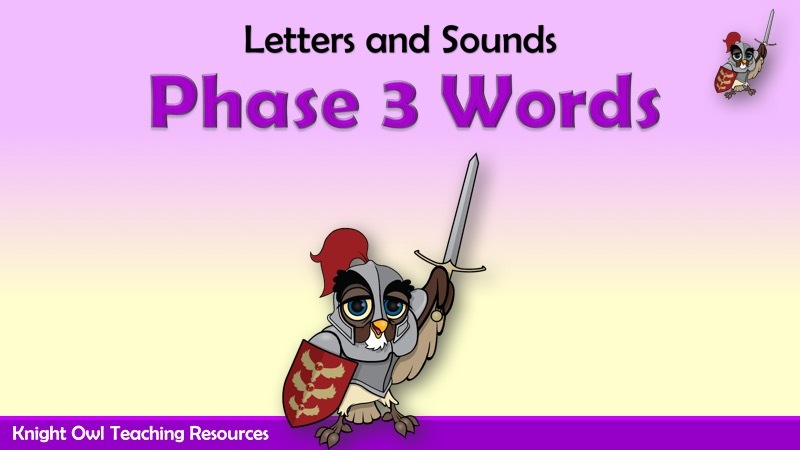 Animals holding boards with words using Phase 2 graphemes (Set 3). 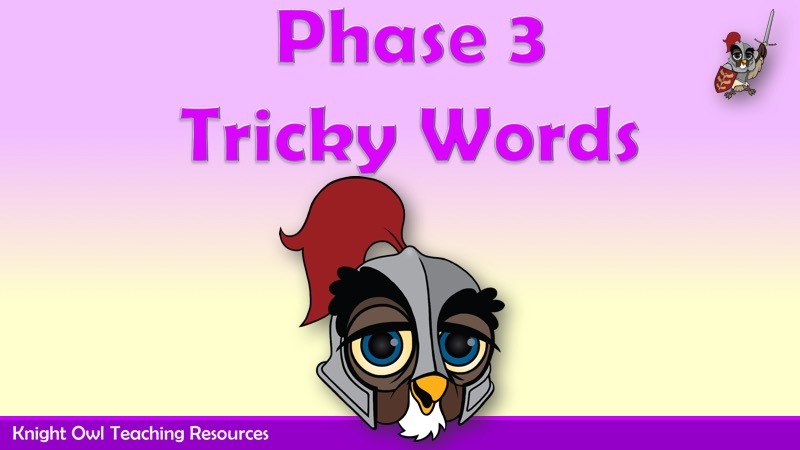 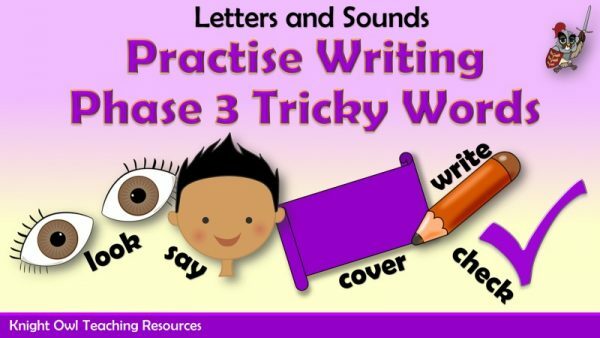 A fun powerpoint for practising writing Phase 3 tricky words.